On this new episode of “Bookworm History”, we’re discussing the man and the history behind the Diary of George Templeton Strong. Today, his diary is one of the most valuable primary sources for historians studying the American Civil War. Strong’s writings weren’t just limited to that conflict though. He wrote almost daily for 40 years, providing historians with a wealth of information about New York City in the nineteenth century! But who was the man behind the diary? Sandwiched between Park Ave. and Third Ave., just east of Union Square, is the small stretch of city street known as Irving Place. Extending south from Gramercy Park, it was once the fashionable district of artists, actors, and the creme-de-la-creme of Gilded Age high society. At the southwest corner of 17th Street and Irving Place sits a small two-story house of red brick, curiously out of sync with the other houses around the area. While it, and several dwellings behind it along 17th are all of the same basic design (and all preserved as NYC Landmarks in 1998 as the “East 17th Street/Irving Place Historic District”), the house at the corner, 49 Irving Place, is decorated just a little more than the others. While all are preserved, stories say that this house was once home to famous early-American writer Washington Irving. 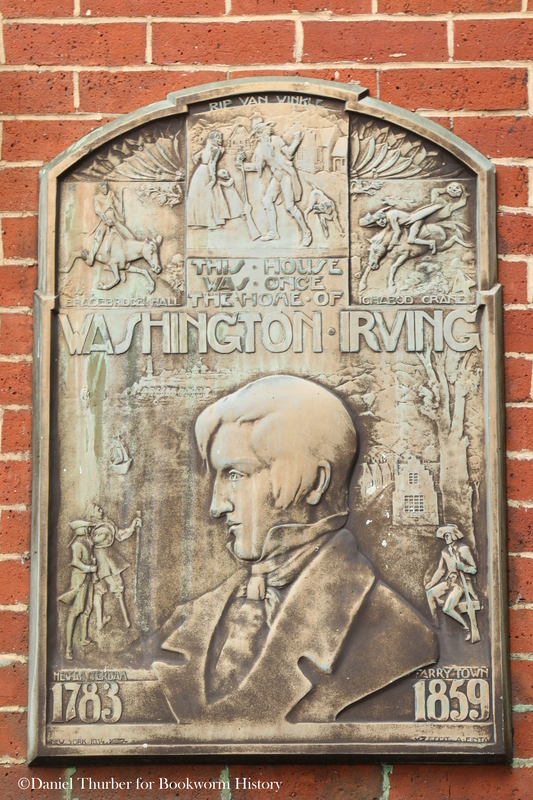 A large bronze plaque on the north side of the “Irving House” confirms his involvement here. There’s just one little problem. Irving never so much as crossed the doorstep.